All Hallberg-Rassy sailors are hereby invited to the traditional and popular Hallberg-Rassy Rally where everybody wins, 14-15 June 2019 in Ellös. Last year, 116 Hallberg-Rassy sailors with 43 Hallberg-Rassy yachts from the 1970s - 2018 joined the rally. There will be only winners, generous prizes and we will have two dinners and a nice time togehter. 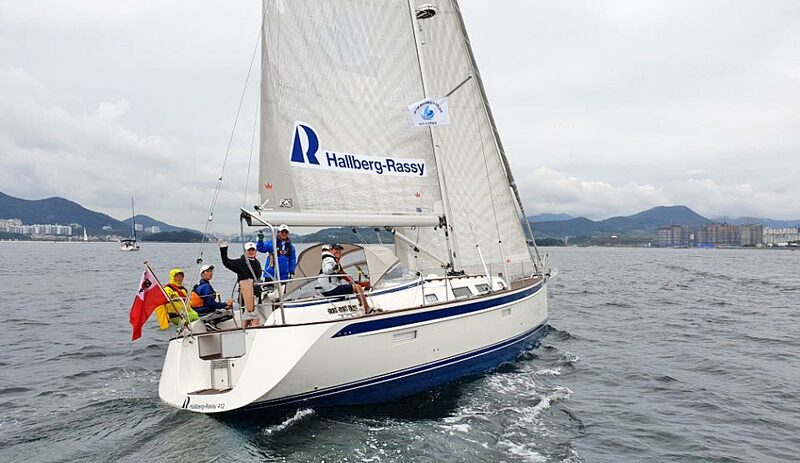 There will be a Hallberg-Rassy info booth at Busan Boat Show, South Korea, 28-31 March 2019, and also at the Korea International Boat Show, 9-13 May 2019. The stands will be arranged by Hallberg-Rassy's importer for South Korea, Gin-A Co., Ltd.
Come to the US premiere for the Hallberg-Rassy 340 in Richmond, California, USA, April 4-7, 2019, at the Pacific Boat Show. West Coast dealer Swiftsure Yachts exhibits. Come and see the Hallberg-Rassy 57 at London Yacht Show in-water at St Katharine Docks, 8-12 May 2019. UK dealer Transworld Yachts Sailing exhibits. 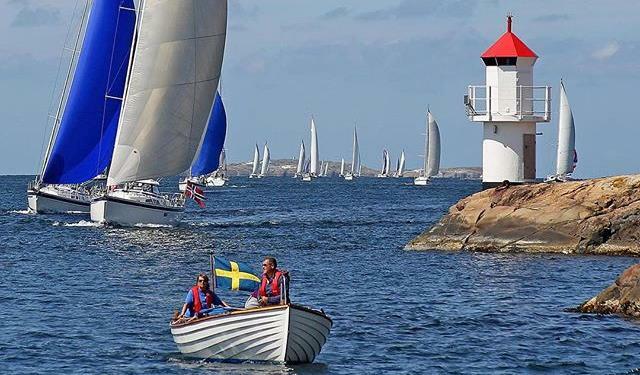 Welcome to an open weekend at the yard in Ellös, Sweden, 11-12 May 2019. We will show the Hallberg-Rassy 340, 44 and 57 with hardtop in the water. There will also be other brokers with boats by other manufacturers on display. There will be a boat show based in Southampton, UK, this spring and we will show a Hallberg-Rassy 44. The show will be on the water at Ocean Village, Southampton, 17th to 19th May, 2019. Come and see the Hallberg-Rassy 340, 44 and 57 at the 10th edition of German's largest in-water boat show in Neustadt i.H. northern Germany, where Hallberg-Rassy's German sales office also is located. 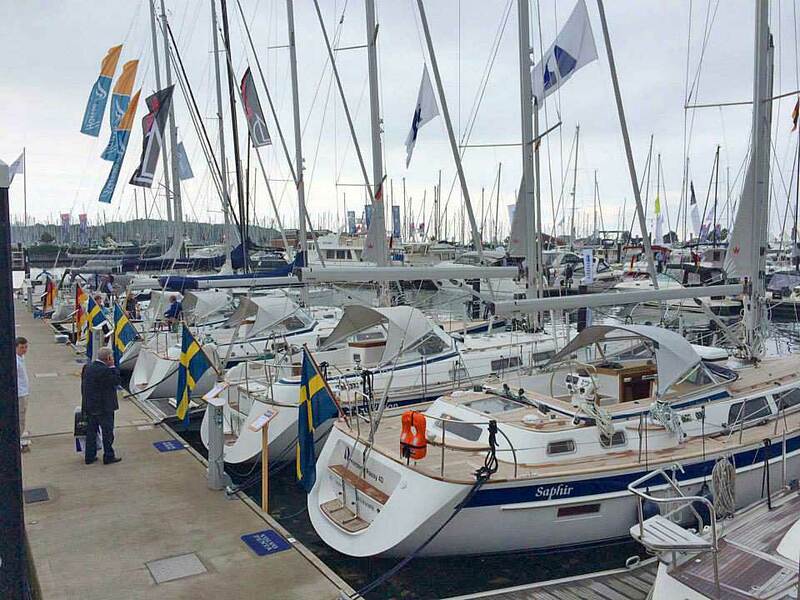 The boat show is open 24-26 May 2019 and has the strange name "Hamburg ancora Yachtfestival", although the show is not at all located in Hamburg, but in Neustadt i.H. Now also the Hallberg-Rassy 412 is offered with interior in bright European oak. The first 412 with oak interior is already in progress. 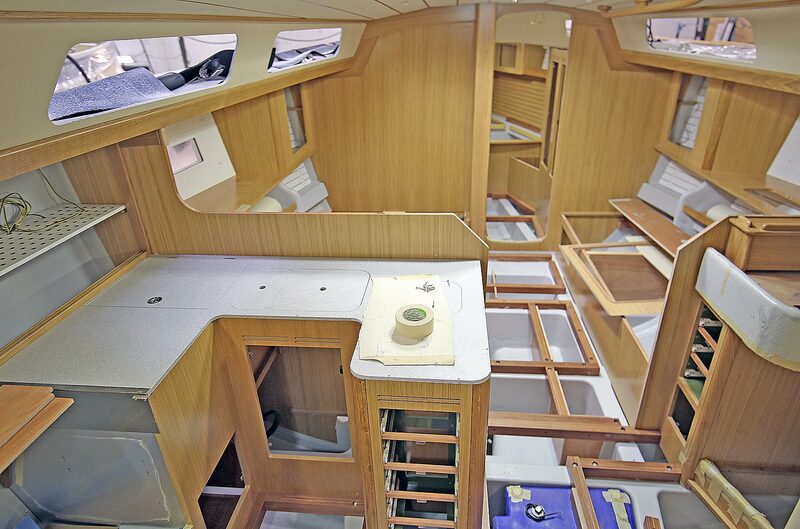 Oak interiors have quickly become popular, with a clear majority of the larger yachts built in bright European oak. Europe’s largest sailing magazine, Yacht from Germany, has since 1998 made 20 extensive market researches. This time no less than 8 300 readers answered detailed questions about the yacht market. 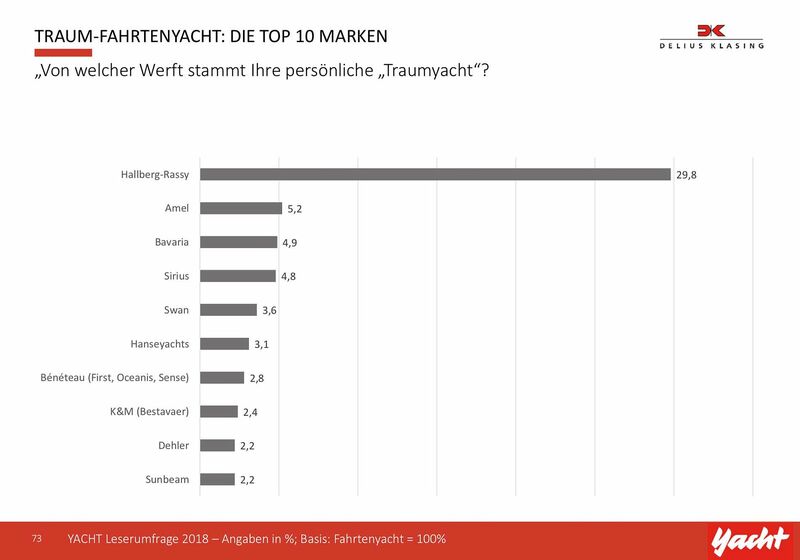 For the 20th time since 1998, the dream yacht overall from all categories is Hallberg-Rassy. The lead to number two on the list is massive with 16.4 % for Hallberg-Rassy and only 5.6 % for Number two. 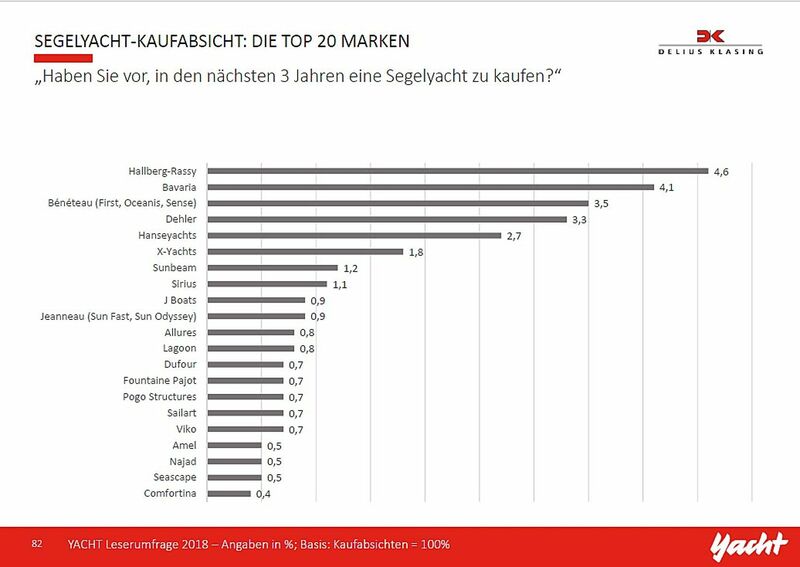 The latest market research by Europe’s largest sailing magazine, Yacht from Germany, had an interesting question: Do you have any intention to buy a sailing yacht the next three years? If yes, what brand? 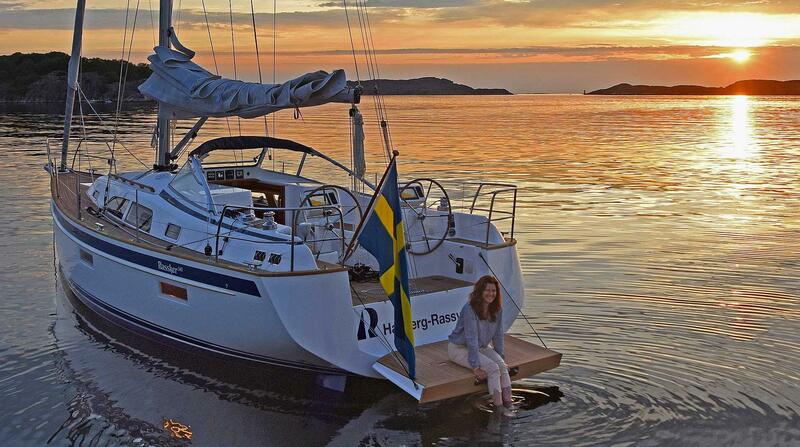 The number one choice of all brands on the market is Hallberg-Rassy. And the answers refer to number of individuals, not value. If that would have been the case, the lead would have been even more clear. Next door to the Hallberg-Rassy Yard area is the Sjögården hotel with the business called Verhas. Currently, a major renovation is under way for more than 2,000,000 Euros. The new Sjögården will have both hotel business with spa, hostel, restaurant and a bar. The restaurant is open also during the big renovation. Hallberg-Rassy invests for the future in the yard marina: The east end dock has been completely renewed for the 2019 season. 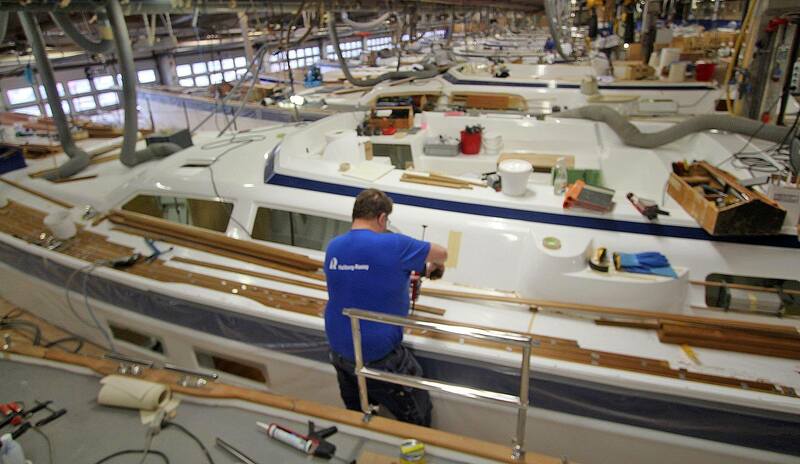 A fresh photo gallery from this week has been added to Hallberg-Rassy's Facebook account, showing the production work shops with 26 yachts in progress.